NCAA March Madness is Coming on CBS & TBS Networks! NCAA Basketball has reached the most exciting part of basketball season – tournament time! 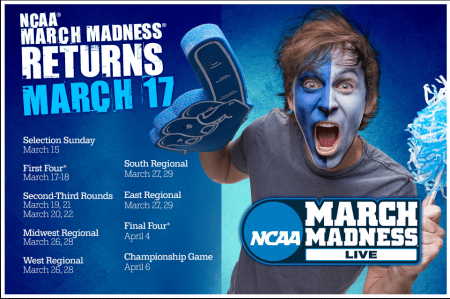 Your bar and restaurant customers will want a place to go with their friends to experience all 67 of the March Madness games starting March 17th and to watch the Final Four and NCAA National Championship to be decided on April 4th-6th at Lucas Oil Stadium in Indianapolis. The #1 viewed event in the U.S. is sure to be a great opportunity for your Bar and Restaurant to draw in new customers. 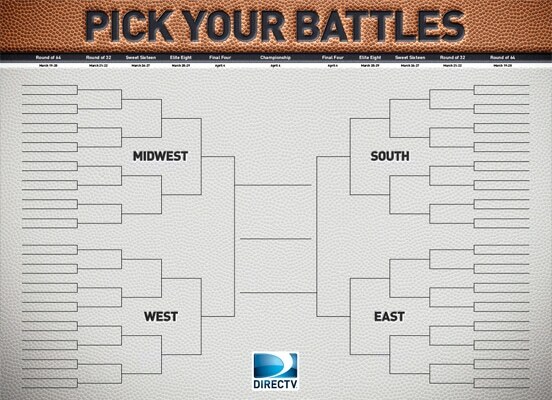 DIRECTV is making March Madness marketing kits available at deeply discounted prices to bars and restaurants. DIRECTV is making sure you can pack the house by letting your customers know they can catch every game of the NCAA Tournament at your Bar or Restaurant. Get March Madness Marketing Kits for your establishment as part of the DIRECTV MVP Marketing program.